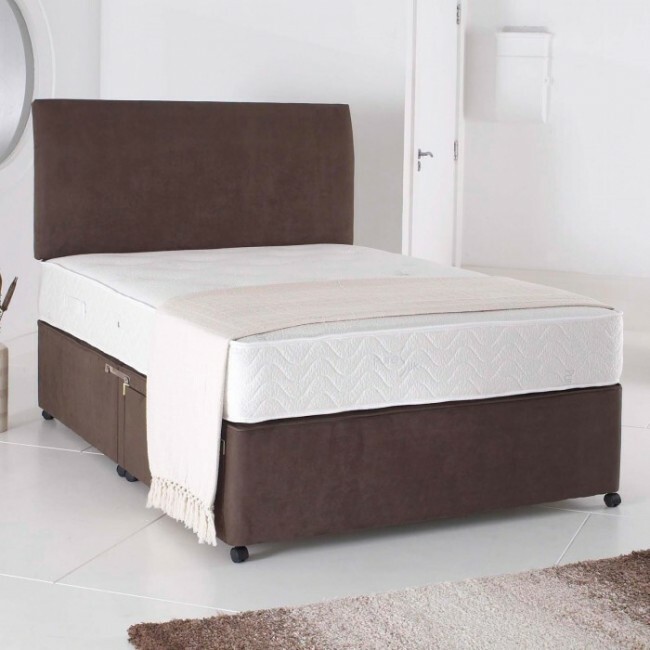 This 6ft Super King Size Divan Bed Base is finished in a Chocolate Brown Faux Suede fabric .It is available with a Platform top Base for firmer support or a Sprung Base for a softer more luxurious feel. The divan base is made from solid timber to provide a comfortable, sturdy, sleeping platform. It is delivered in two vertical split halves Upholstered in luxury suede fabric. It comes with castors and attachments for headboard. Requires simple assembly by way of a clip to join the two halves together. No extra tools are required. You can have storage drawers anywhere on the bed base. Mattress and headboard are not included in the price but can be purchased separately. 6ft Super King Size: (180 cms x 200 cms,72 inches x 78 inches).